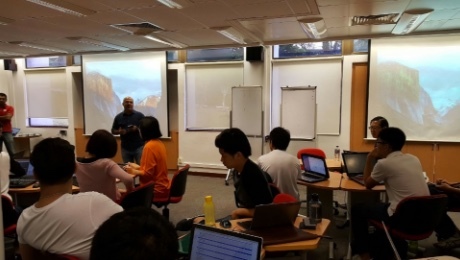 Singapore, 16th December 2016 – SFA partnered with ACCESS to organise a Blockchain bootcamp to about 30 students and lecturers at Singapore Poly on 16 Dec 2016. 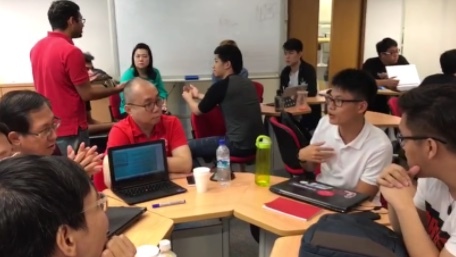 Basic concepts of FinTech, regulation and blockchain were introduced in the morning, followed by more advance concepts of blockchain in the afternoon before wrapping up with a blockathon, whereby the participants applied blockchain concepts to business use cases. ACCESS, the Singapore Cryptocurrency and Blockchain Industry Association, promotes and protects the use and development of digital currencies and blockchain technologies. With responsible use and proper regulatory support, they see digital currency applications and distributed ledgers benefiting everyone. They support the efforts of their members by partnering with other organizations to promote our members interests across multiple industries.